In 2019 FairWind will have provided wind turbine installation and service solutions in over 40 countries. The 40 country mark was passed after the announcement of FairWind’s involvement in the Formosa 1 Phase 2 offshore wind power project in Taiwan with Siemens Gamesa Renewable Energy (SGRE). 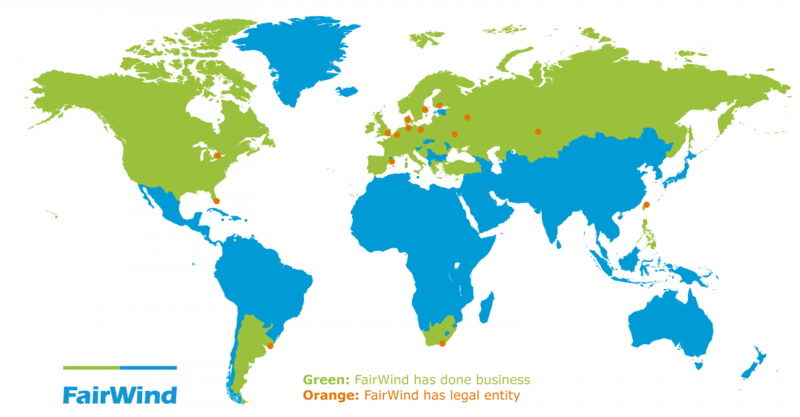 In addition, FairWind has established full legal entities in 17 countries. Altogether, the global wind turbine solutions provider has been involved in every continent except for Antarctica and Australia. “FairWind has always set out to be a global company. Not just a Danish company, nor a European one, but a true leader in wind turbine installation and service throughout the world,” said John Funch, CEO. “I am proud to say that today we are closer than ever to achieving this goal. Our diverse team of over 1000 technicians and 200 white collar employees have brought their unique cultural and technical backgrounds to deliver the best quality, regardless of the location. Above: Local South African technicians perform installation at Loeriesfontein, South Africa with help of traditional dance.FairWind A/S was established in 2008 in Denmark, and quickly expanded to include offices in almost every major European country, including a large support hub in Poland. But the growth did not stop there – the model established in Europe was replicated in other countries. In South Africa, for example, FairWind honored its commitment to using local resources by recruiting and training many South African technicians. This commitment is found in many agreements signed by the company. In 2017 came another huge step, this time across the Atlantic. FairWind acquired U.S. service company EU Montage (now FairWind Inc.) The acquisition includes an office in Miami, Florida and a legal entity in Canada. 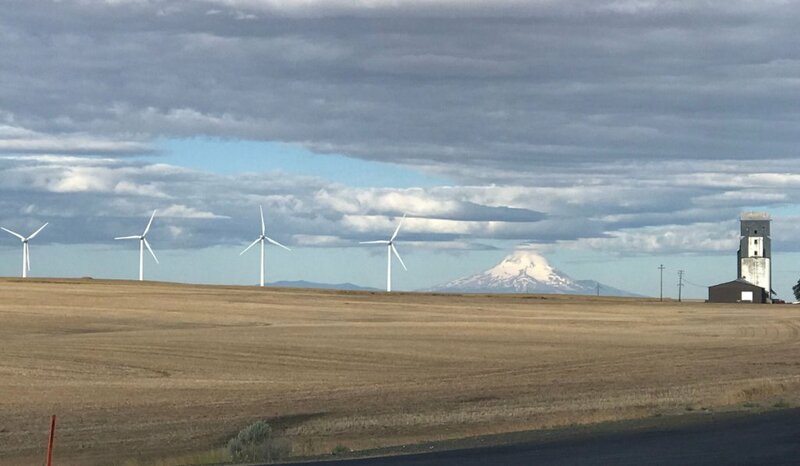 Cascades mountains in Washington State, U.S.A. where FairWind Inc. provided wind turbine services. FairWind has also installed turbines south of the equator, as it was also involved in the Cerro Grande wind project in Uruguay, making extensive use of local technicians. More recently, FairWind completed their very-first installation project in Russia. A regional office is located in Ukraine, and projects are ongoing as far as Kazakhstan. Finally, cooperation with Siemens Gamesa Renewable Energy has brought about the establishment of a full organizational setup in Taipei, Taiwan. FairWind is able to take advantage of its global network to provide a uniform standard of safety and quality. 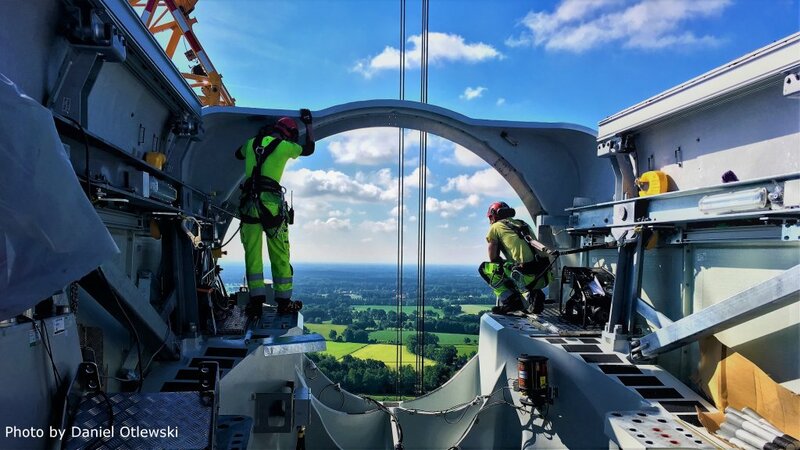 For example, local technicians are sent to train at partner company European Wind Academy, and also gain experience by working with veteran technicians on established projects in other countries. This model was recently realized when freshly recruited Taiwanese candidates were flown to Europe to begin their training for Formosa 1. For centuries it was said that “The Sun Never Sets on the Spanish Empire.” Then in the 19th century, somewhere in the world, the sun was always shining on a flag of the British Empire. Now in the 21st century, all FairWinders can be proud to say: the sun is always shining somewhere in the world on a wind turbine installed or serviced by FairWind!